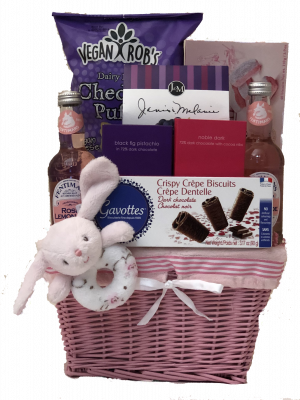 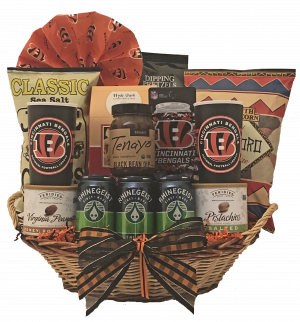 Celebrate and enjoy the finest of Cincinnati with this basket exploding with traditional Queen City favorites. 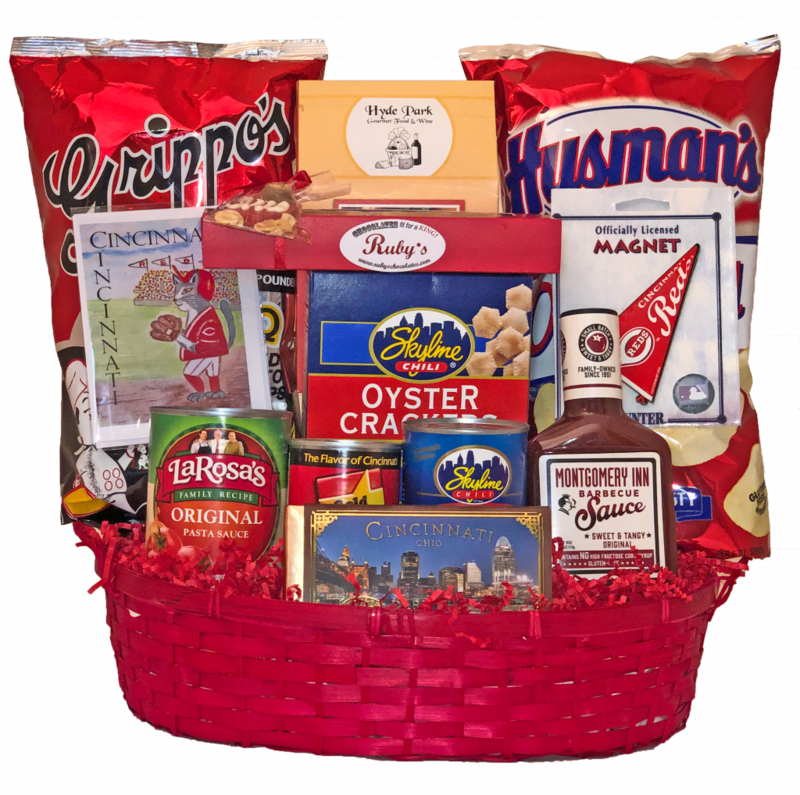 Celebrate and enjoy the finest of Cincinnati with this basket exploding with traditional Queen City favorites. 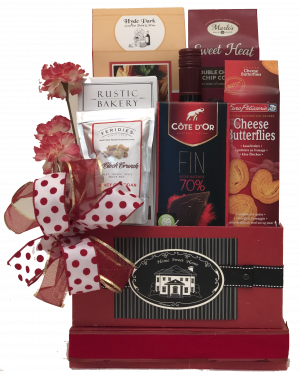 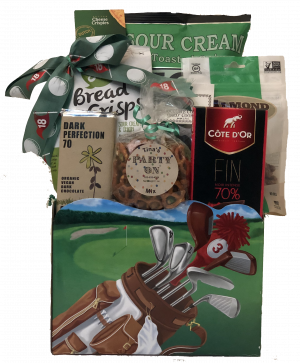 Perfect for friends and relatives, locals and out-of-towners, this combination of local flavors includes such goodies as Graeter’s chocolate, Local Chips Montgomery Inn sauce, Skyline chili and oyster crackers, LaRosa’s sauce, Hussman’s Pretzels,Frisch’s Tartar Sauce and Cincinnati memorabilia.